Liza Soberano Biography, Liza's Life Story. Before we have known Liza Soberano as a talented actress, she was known to her family as Hope Elizabeth "Liza" Soberano. Liza is born to Filipino father John Castillo Soberano and American mother Jacquelyn Elizabeth Hanley on January 4, 1998, in Santa Clara, California. After her parents separated, her paternal grandparents raised her until she moved to Manila in 2008. She then lived with her father and relatives. It was not long when Liza was offered to model for print ads at an early age of 12. Her first on-screen feature was as a Barangay Audience in the variety show ‘Eat Bulaga!’ in 2010. At 13, a talent scout discovered and introduced her to comedian showbiz reporter Ogie Diaz who became her talent manager up to this day. She then played a minor role as Claire Raymundo in the daytime television drama “Kung Ako'y Iiwan Mo.” After that, she was seen playing as Young Gladys in the episode titled ‘Singsing’ from the series ‘Maalaala Mo Kaya’. It was in 2013 when she had her film debut as Angel Gomez in a rom-com “Must Be... Love.” Shen then played the supporting role Gillian in a melodramatic film “She's The One” which starred Bea Alonzo and Dingdong Dantes. In 2014, joined the primetime television series “Got to Believe” as the other love interest of Daniel Padilla. 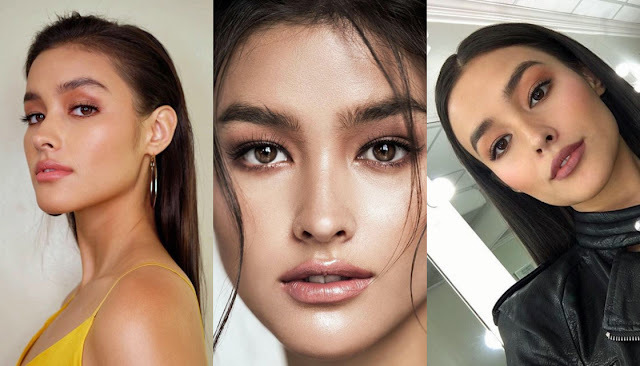 Liza’s breakthrough came when she landed her first leading role in the hit rom-com television series “Forevermore.” She played as a strong-willed strawberry farmer Maria Agnes Calay alongside Enrique Gil who played the hotel company heir Alexander "Xander" Grande III. The drama rating whooped up to the final episode. She was included in The Philippine Star’s "29 Most Bright & Beautiful" list in 2015. After the “Forevermore,” Soberano starred in the film adaptation of the Wattpad book “The Bet” which was renamed as “Just The Way You Are.” The film was then followed by “Everyday, I Love You” as Gil’s love interest. In 2016, Soberano and Gil played the leading roles in the romantic drama TV series “Dolce Amor.” The series aired for 3 seasons with 137 episodes. The love team continued their journey to stardom as they reap awards such as “Most Popular Love Team of Movies and TV” award at the 47th GMMSF Box-Office Entertainment Awards. The romantic-comedy-drama film “My Ex and Whys” featured the pair and grossed ₱410,000,000 worldwide. It is the highest-grossing Philippine film of 2017. In July 2017, Liza appeared in “Vogue” website. 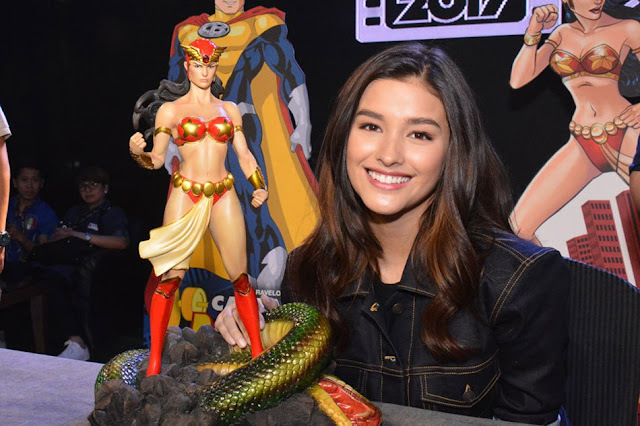 Liza Soberano poses with the Darna licensed statue. She is set to play the role of Darna in Erik Matti's upcoming film adaptation. Currently, she is recreating her on-screen chemistry with Gil in “Bagani”.